DPM provided FF&E coordination and relocation management services for Sidney E. Frank Hall, the University's new, 173,000 square-foot, Life Sciences Facility. 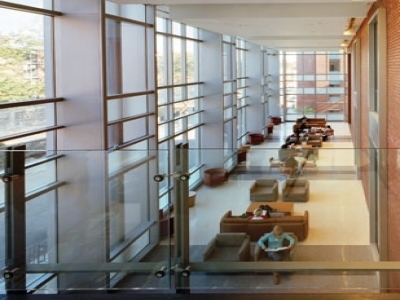 This LEED Silver research center is adjacent to the current complex of biomedical buildings and houses the departments of Molecular Biology, Cellular Biology & Biochemistry and Neuroscience. With 60 new laboratories, the project modernized and expanded Brown's research capacity by 50%. It was designed to encourage scientific collaboration among faculty, staff and students by uniting complementary research under one roof. Approximately 150 full-time occupants were relocated. Since 2004, DPM has partnered with Brown on many other projects including the Dining Services facility and the management of the public/private Thayer Street sidewalk upgrade project. 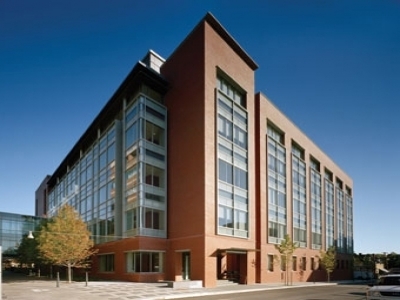 In addition, DPM provided move management services in conjunction with a sequence of campus-wide renovations and relocations to accommodate the growth of its renowned medical and science programs. The work affected 11 buildings on and off campus including the Mind Brain Behavior Institute.